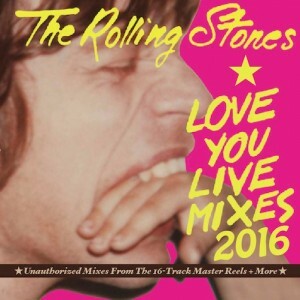 Uploaded to the internet in March 2016, these new ‘Love You Live Mixes’ were originally produced in 1982 and stored away for 35 years, constituting of 5 brand new tracks including three never before heard songs from the 1975/1976 tour. After last years ‘Foxes From The Boxes’ studio mixes, these were the next big thing to come from sources that even devout collectors weren’t privy to. The poster for these recordings, a ‘Gracious Retired Audio Professional’, had produced these tracks as ‘training’ for his subsequent career and, by way of explanation, posted the following statement to introduce his haul; ‘I started my professional recording, engineering career with Alpha International Recording Studios in Philadelphia , the fall of 1980. I was an assistant engineer for the first few years and when I worked long overdub sessions, where I was basically sitting, I would go down the hall way to studio B when it was unoccupied and practice mixing multi track masters until summoned to the next set up’. 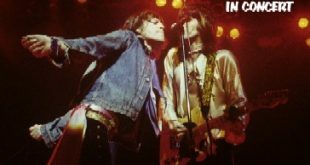 The story continues that Mick and Keith were looking for an undercover or relatively unknown studio that they could mix and ad overdubs for the Love You Live LP without the hassle of the press buzzing around after Keith’s recent drug bust in Canada and, as Alpha was yet to open officially, it was perfect as a working ground for the duo without the unwanted intrusion. 5 tracks were used for the master that was stored at Alpha – ‘Hot Stuff’ and ‘Star Star’ would eventually be used for the official release, ‘Angie’ and ‘Hey Negrita’ were cut from a Parisian recording, while ‘You Gotta Move’ was sourced from a concert recorded in Cleveland in 1975. The other engineers at Alpha had all had a go at mixing these tracks themselves, whether they had thought of capturing their own mixes for prosperity remains to be heard however, GRAP as we’ll refer to him did, capturing these mixes on 1/4″ reel to reel tape at 15 IPS, transferring the reel to CDR, Mini Disk and DAT for prosperity. Finally mixing them to MP3s, he uploaded these tapes to the internet under the guise of Shuffle Play records and unleashing them to the world. They have been released all around the same time on CDR, on a pressed CD run under the imagined ‘Shuffle Play’ records label (Unconnected to GRAP’s original intentions) and this, Idol Mind’s 26th production – Still seems a little low in numbers for a label that has been around for so long but then, for label that seems to only concern itself with quality, it’s not entirely surprising. The producers have decided that the best process to fill out the running time of the CD is to add a vinyl rip of the ‘From San Fransisco To Paris’ Toasted records vinyl album from 1980, spliced with traders tapes recordings of Billy Preston’s tracks. IMP’s voice of extras is an interesting one – As mentioned, ‘From S.F. to Paris’ comes from an old vinyl boot – the High End HD rubidium system that the label are fond of using really fleshing out the vinyl sound and bringing a little analogue humanity to the digital sound – Pops and crackles are slightly – slightly – noticeable from time to time. Where Billy’s songs were in the set list but absent on the LP is patched in with audience tapes – plural – and through the early portions of ‘Nothing From Nothing’ there’s an amount of tape crunch like it’s been through the heads the wrong way. The original LP was a hybrid of sorts too so buyer beware when there’s some rather choppy editing before ‘It’s Only Rock ‘n Roll’ it’s mainly the introductions before but just as your ears settle in to one change, the recording snaps in to another – it’s not entirely uncomfortable but because of the multiple sources used, it’s the best way to complete the recording. A great release supplemented by the extra embellishment of the classic LP. Until there’s another big new release this year – and the way things are going there has to be something in the vaults, surely – this is an imperative for your collection. An excellent release. Hey Nigrita is from Earls Court, London 27 May 1976. See eg. hotwacks review. Thanks Oldman – I had given Hot Wacks up for gone after they released the paywall – It was still there when I checked it over tonight but I couldn’t get any further than the first page. 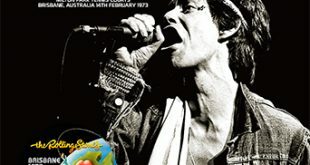 now, for the Rolling Stones 1976 tour of Europe, i have just the June 6th & 7th shows in Paris in my colllection. can anybody recommend or suggest what may be the next best show to get, esp. 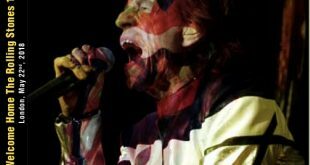 in terms of sound quality, the quality of the Stones’ musical performance, & possibly also historical importance? any advice will be much-appreciated, as always…thanx! From the ’76 shows, I highly recommend the old Godfather boxed set, ‘Les Loups Dans L’Abattoir – The Complete 1976 Paris Tapes’, there are many releases of the Knebworth show – One was reviewed by Keefs Telecaster Roadie on this site, and from the Zuiderpark in Den Hague, SODD’s ‘Sunday In The Park’ is hard to beat for completeness. thanx very much for the great review, but does anybody know which particular date in early June 1976 the “Hey Negrita” track performed in Paris comes from? thankx to anybody who could kindly let us know. hasn’t it been said or claimed to be previously unreleased? how can that possibly be if all the shows in Paris in early June 1976 have been previously released at least unofficially?! nobody knows any of the answers? not even Stuart or any of the other Stones fans/writers/reviewers here? if that’s the unfortunate case, then somebody, anybody, please at least confirm that & explain why nobody knows…esp. as i need to make an urgent decision about whether or not to buy a certain Stones CD release that may not be available to me much longer. again, thanx to anybody who could help in any way whatsoever! or, would anybody at least know whether or not the “Hey Negrita” track is from either the June 6th or 7th shows in Paris ’76? I’ve been digging up some research for you but I’ve also been busy with another review. Do any of our IORR friends know the answer? I love this release . It one of the best boots I’ve heard in years. Great songs. sound quality and performance from a great, great band. Good review other than having the dates wrong. 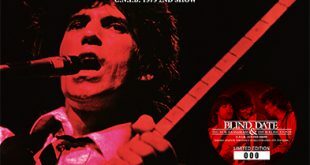 It was the 75/76 tour not the 77/78 tour.1977 was not a touring year for the Stones. I’d say well spotted but it was a daft mistake on my part. I’ll be corrected by the time you next read this. Thank you.